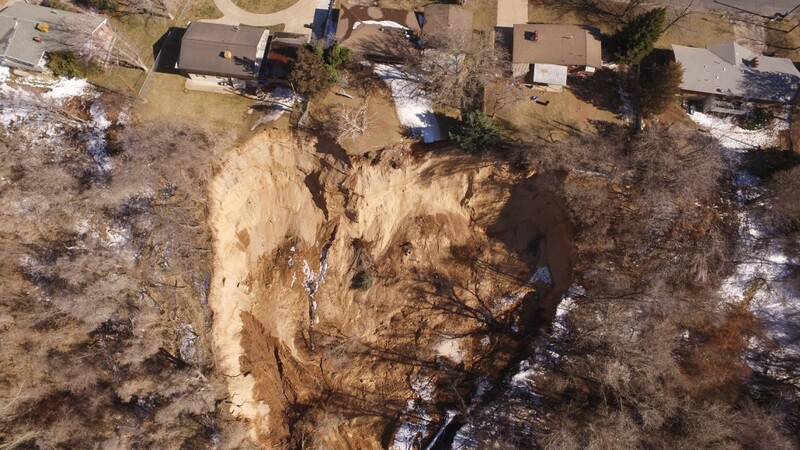 Aerial image of the landslide taken by Davis County Sheriff’s drone. Photo date March 6, 2018. 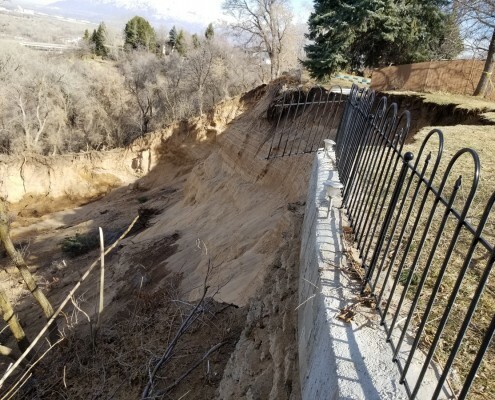 The Spring Creek Road landslide in Riverdale, Utah, is on a steep, approximately 200-foot-high thickly wooded west-facing bluff of Lake Bonneville deltaic deposits, above the Weber River floodplain. 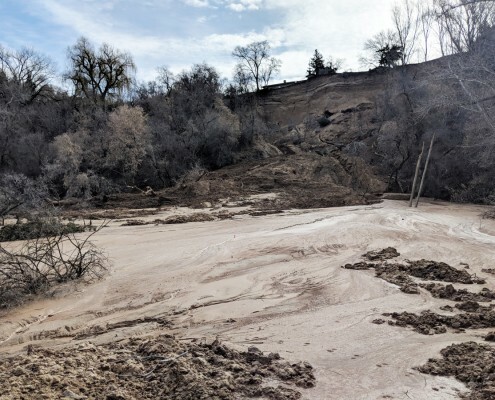 The landslide initiated on November 19, 2017, as a water-rich, quickly-moving debris and earthflow involving the lower half of the slope that dislocated the upper 10 to 15 feet of organic-rich soil and unconsolidated silty sand. 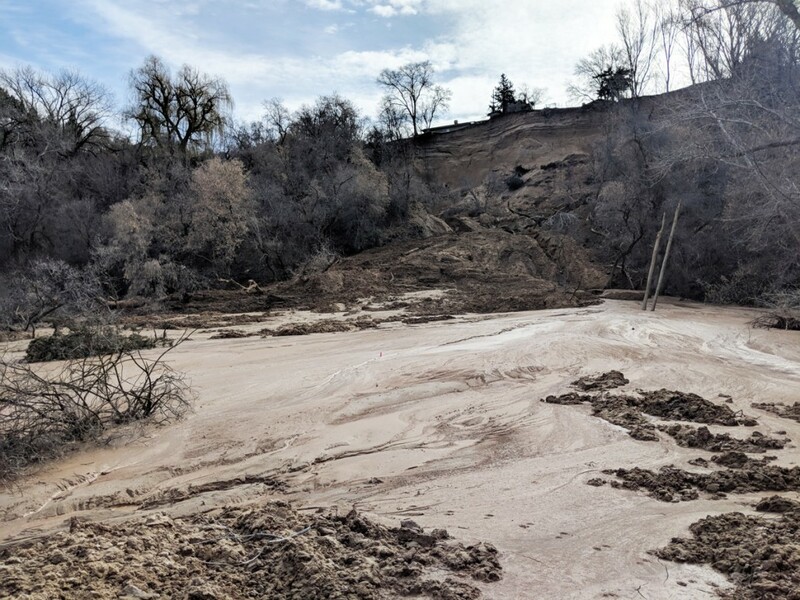 The initial evacuated area extended about 250 feet up the slope east of Spring Creek Road (located at the base of the slope) and deposited material on the pasture below extending approximately 270 feet to the west of the road to an average depth of about 4—7 feet. After the initial event, several major and many minor events continue to expand the upper extent of the landslide. Landslide activity is related to spring flow emanating from several points approximately halfway up the bluff. The springs continually erode material within the source area depositing on the pasture below, burying buildings and horse property. 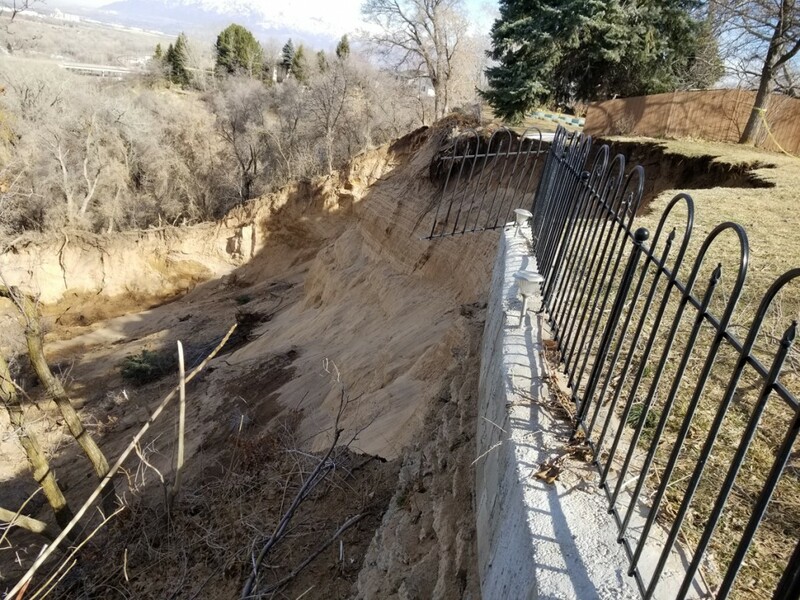 Expansion of the landslide in the upper part of the slope resulted in Riverdale City enforcing a mandatory evacuation of three houses at the top of the slope along the west side of 600 West on November 28, 2017 and a voluntary evacuation of a fourth house, located to the south, in early March 2018. Riverdale City contracted GSH Geotechnical to drill three boreholes in 600 West to provide groundwater elevation data and slope movement measurements. 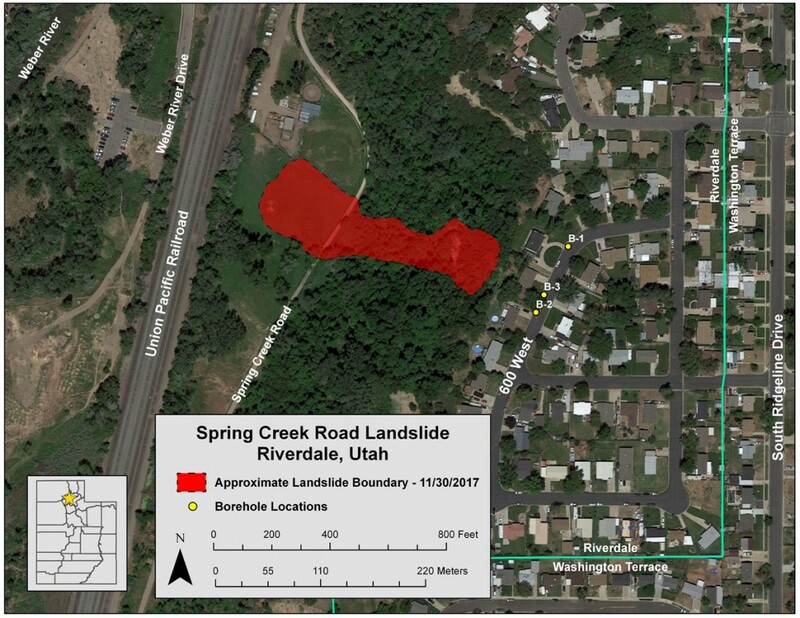 The UGS offers assistance to the city to determine the extent of the landslide hazard and overall geologic hazard risk for the area. In addition, the UGS monitors the activity of the slide and documents the findings. 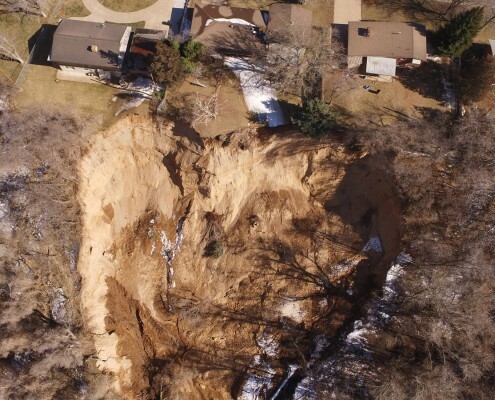 Collection of relevant information about the landslide, including photos, videos, reports and letters, available for public access. 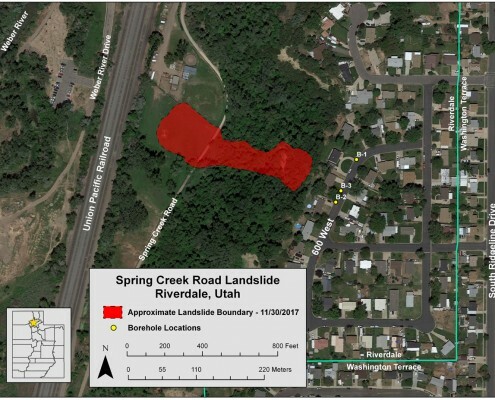 Groundwater elevation data for the site; enter Spring Creek Road in Site Name Search box.